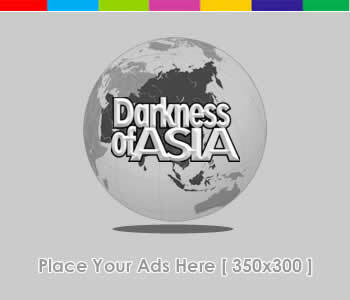 Darkness of Asia is a media blog, which talk about various topics we found it interesting. Articles in this blog are written by several people with different interest and passion to make the content varied to meet each category. Several articles in Darkness of Asia were taken from other sources but we do not post COPY articles, yet we rewrite articles to make it easier for the readers to understand it. With various articles in this blog, we hope we could help readers by providing accurate and credible information. Darkness of Asia will continue to grow and work hard to give useful information to the readers. We also accept any critics and advices from readers for us to improve this site. You can send your advices and critics through the contact page. Hopefully, this simple blog could give you valuable information and inspiration. Do not forget to leave a comment from the article you read.